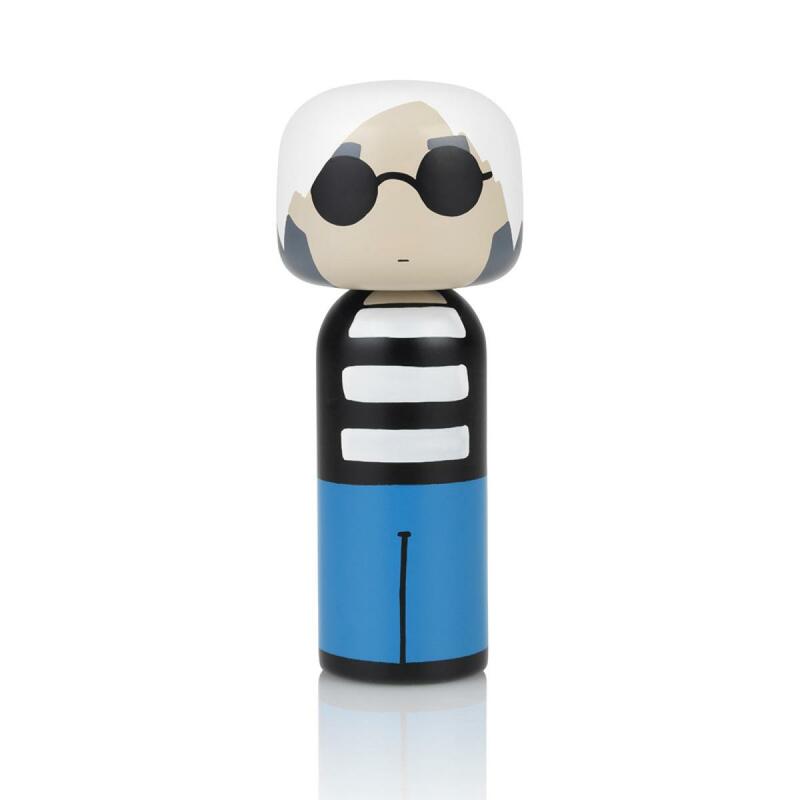 Andy Warhol Kokeshi doll made by Lucie Kass. Kokeshi dolls are a traditional type of Japanese doll, made of wood turned on a lathe, and painted with bright colours. These attractive dolls have a centuries long tradition in Japan, and are much valued by collectors. Lucie Kaas is a Danish brand, committed to beautiful design and to objects that tell a story. Andy Warhol Andy Warhol 1982 © 2018 The Andy Warhol Foundation for the Visual Arts, Inc. / Licensed by DACS, London. 2018.